Inspired by the work Madam LIU HSIA, the founder of Eden Social Welfare Foundation, has done for persons with disabilities, Madam Shen Chiu Hsiang (沈秋香), who is herself a person with disabilityfounded Duel Blessing,with her husband Rev. Ch’ng Joo Beng (莊如明牧師). 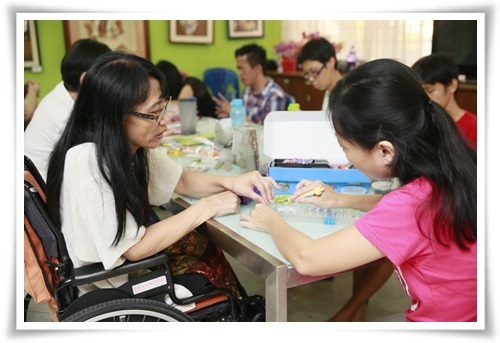 Their years of experience at Eden's Service Center, Penang (檳城) for Persons with Disabilities working to promote the welfare of persons with disabilities had given them the means to set up Dual Blessing in August, 2001. The objective is to provide occupational training services, to create public awareness of persons with disabilities, to promote self-reliant programs and to improve the well-being of persons with disabilities.